Flat design of the front illustration for the box. 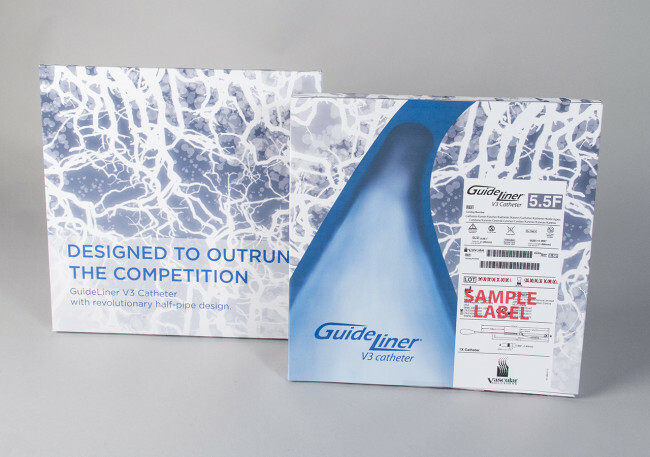 Front and back of package with the GuideLiner catheter. There’s nothing like starting from a clean slate. 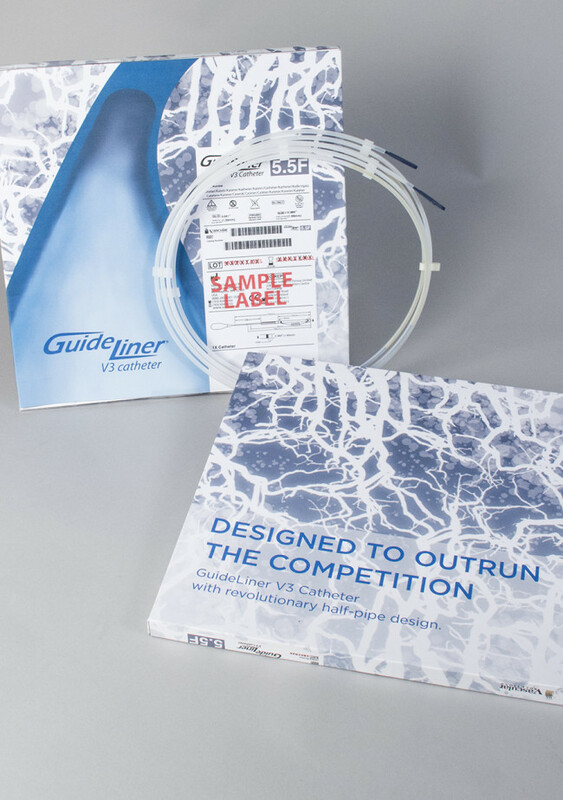 Normally that is not the case when it comes to doing a redesign, but the current packaging for the GuideLiner V3 catheter is completely blank. Working with the requirements of their label and box size, the goal was to create something that stood out against their competition. The catheter is the leading product in its league and the packaging that holds it should represent its success. Its revolutionary half pipe design is what creates its unique advantages. The box models the idea of the snowboarders half pipe, and the inner workings of where these products go. The intense and dark blues, stick to their current brand colours and showcase the enriched benefits of the product. 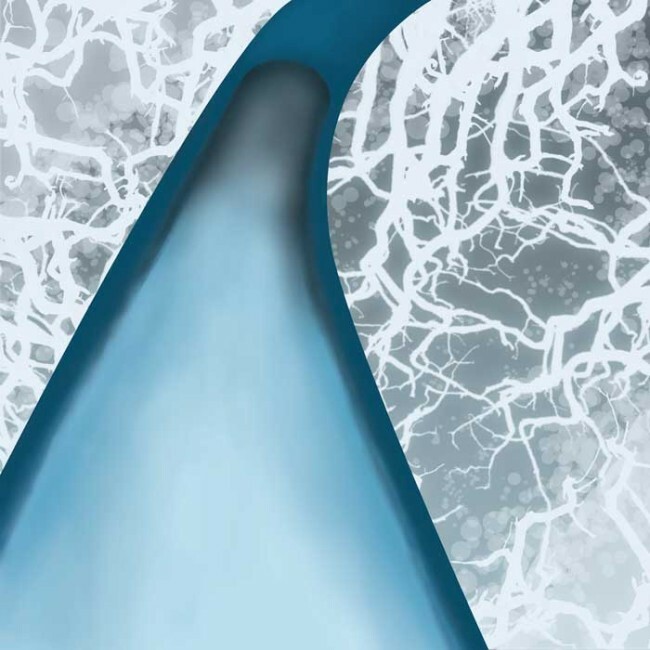 Abstract cells and artery shapes envelop the background to set the stage, in a lighter tone. 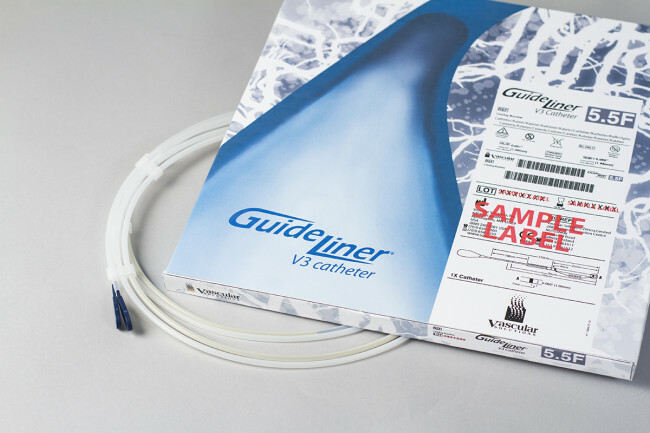 This new package gives the GuideLiner V3 Catheter the chance to shine before it leaves the package.